Many Mac users have apps installed on their Mac which take up considerable storage space but generally go unused. 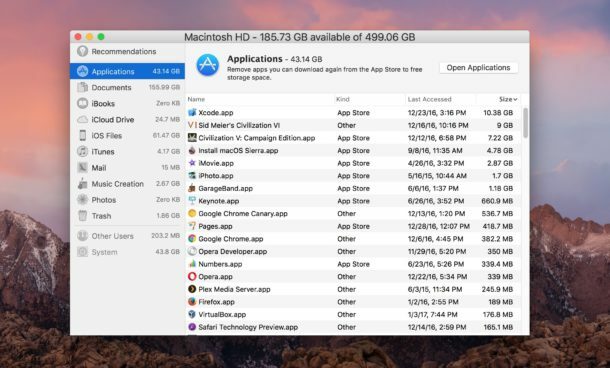 Accordingly, Mac users can free up storage space on their computer by tracking down large Mac apps and deleting them. 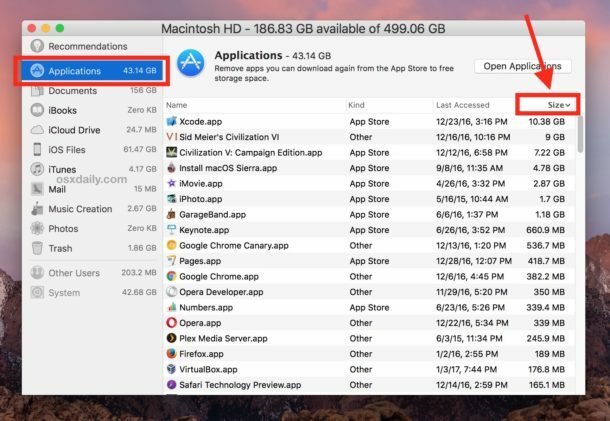 The latest versions of MacOS offer a very easy way to track down large applications, see when they were last used, and offers a simple way to delete the apps from the Mac, all from a unified Storage Management tool. You will need MacOS Sierra 10.12 or later to have this feature, earlier versions of MacOS do not include the Storage Management tool. We’re going to sort the application manager list by size, allowing you to quickly locate what apps are the largest. Secondarily, you can pay attention to when the app was last accessed, giving you an idea of how frequently (or infrequently) the app is used and whether or not it will be missed by deleting it from the Mac. Be sure you backup the Mac before proceeding with deleting any apps. 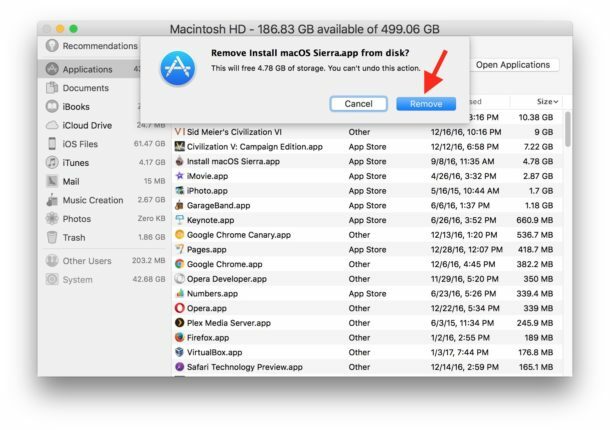 This offers a really simple way to delete any Mac app, but as we show here, it’s also an excellent way to track down disk space hogging apps that are going unused. For example, you may find that you have Xcode installed but haven’t used it in many months, so deleting the would free up some space. Or perhaps you have an old MacOS installer laying around, or a game you no longer play, or an app you just never use at all. 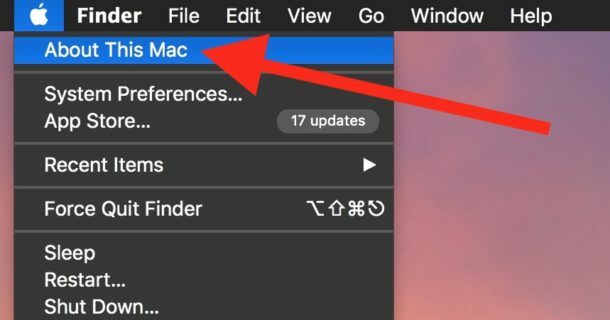 While apps from the Mac App Store can be downloaded again easily, other apps may be more difficult to reinstall depending on where you got them from. Be sure you know what app(s) you’re deleting and why you’re deleting it from the Mac. Keep in mind that apps shown in the Storage Management list are apps which are found anywhere on the Mac, not just the /Applications/ folder, meaning they could be housed elsewhere on the computer. And yes, you can still uninstall Mac applications by Trashing them the old fashioned way if that’s what you prefer to do, but the unified Storage Management utility can make it easier to navigate the /Applications folder for some users, focus on large and unused apps, plus then switch the focus to other data types or other locations on the hard drive. In that sense, the Mac Storage Management tool is kind of similar to the excellent third party utility OmniDiskSweeper, which we’ve discussed many times in the past as a means of locating and recovering disk space. Users of older version of Mac OS won’t have Storage Management tool, but all Mac users can rely on the aforementioned OmniDiskSweeper to perform a similar storage sweep task, or even use Finder to find large files on Mac by using a Search trick. Know of another great way to remove large unused apps from a Mac? Let us know in the comments. Wow! Great tip!!! I found a 5gb yosemite installer app that I used in 2015. So glad to be rid of it. Thanks osxdaily.com! Does this trash cache and log files and who knows what other baggage applications hoard? Getting rid of GarargeBand, and especially its sizeable chunk of loops, is one of the first things I do when setting up a new Mac or iOS device. Using Clean My Mac is yet another option and does a pretty good job. Please no ads here. CleanMyMac is crap, read apple forums. It deletes even commonly files and creates a lot of issues. Bill’s question (above) is relevant. Getting rid of an app does often leave a lot of associated junk behind. I use AppCleaner. which locates most of this and allows one to trash it along with the unwanted app itself, but even AppCleaner can leave some files, including invisible ones, behind which, if one is being purist about one’s cleaning, one has to search for with an app that locates such things. It is the app that has the size, all “junk” does have almost no size. In Apple OS apps several of this junk files may be used by other Apple apps, so you better leave these junk files alone. I second Bill’s question: in other words, is it any better than just dragging the app to the trash? Followed the instructions and clicked remove but the apps are still showing. I think there is an error in the diagrams, the X is by the Civilazations versus … app, but Sierra OS is about to be deleted in the next image. In my humble opinion this is bad advice. Trashing apps this way leaves a host of associated files scattered throughout your drive’s various system folders and generally creates a mess. 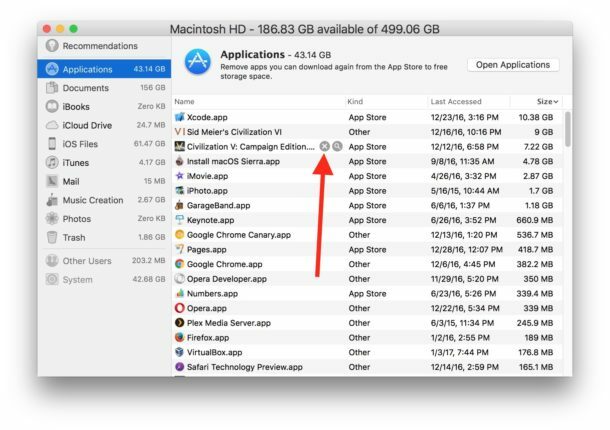 While finding the largest – or least-used based on date of last use – apps for deletion is an excellent use of the “About This Mac” function showing storage, using an app dedicated to this process is vastly more efficient. Once you have located the app you want to delete use something like “App Delete” or “App Cleaner” to remove *all* of the files associated with the app, not just the application itself. It’s fine advice for the stated purpose. But your point about associated files can be important in some scenarios, if you’re looking to truly uninstall an app and remove all traces and related components, turning to the Terminal or an app like AppCleaner is a good choice. This approach is mostly aimed at locating and deleting large apps that are going unused, since it’s easy to see how large the app is and when it was last accessed. I don’t want my Mac to download all attachments. I want to be able to choose whether to download. How can I do this? I often reopen attachments in email so I get multiple copies.